Smart Touch Pest Control is a company associated to solving different problems related to pests in homes, hotels, offices, factories, labor camps etc. Among them, termite pest control is one of the quality service which we are providing. We provide our services in different cities of U.A.E. 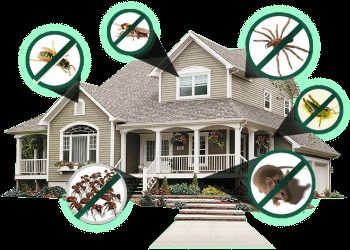 We have been regarded as one of the best in the field of pest control. With thousands of satisfied customers we get a great feedback of our work. One of the most common and persistent type of pest found in the households of UAE is the termite. Termite pest control is needed for your home, office etc. Termite may harm your health. We have got professionals that have a long time experience of controlling termite in households in UAE. Termites are small wood eating insects which are generally found living in colonies. Termites have a very soft body and are social insects. Since these termites are social insects they have different class in their system. They have got the head of their colony as queen who lays eggs and they got soldier who defend their colony from various dangers, so termite pest control is very important. They also got worker termites whose purpose is to collect food and build nests. Since the main source of food of a termite is the wood they are capable of destroying our furniture made of wood. Inside UAE, regions like Dubai, Sharjah, Abu Dhabi – City Experts are giving services of termite pest control. Termites are generally found in dark places as they do not like light. UAE is hot region. In Dubai, there are lots of home, offices facing the temites problem. For better and healthy environment, you need to do TERMITE PEST CONTROL. They build their nest especially in the mounds in the soil. They can travel very far from their nest as far as 100m. They generally move in the dark in search of food and hence it is very hard to find their exact nest. They use dark room corners, cracks in the walls etc. to hide. You can call us for termite pest control, we give services from experts of Termite Pest Control. Termite infestation can be very dangerous to the furniture of our homes, offices and other places. Since wooden furniture are very expensive items in our homes termites can cause serious damage of our property. The furniture such as dining table, bed, cupboard, chairs etc. which are in contact with the ground are in very high risk of getting damaged by the termite. Hence it is better to treat termites before they invade our furniture and effect our finances. It is very hard to locate the nests of the termites hence it is difficult to destroy their nest at once. Instead of treating the location of the termites we need to treat the food of the termite which is wooden furniture or other items. Our company City Expert Pest Control guarantees the eradication of termites in your homes, offices etc. by using different scientific methods. Smart Touch Pest Control is giving range of services in Dubai, Abu Dhabi, Sharjah and other emirates. Among them, we are expert and giving services for termite pest control. We inspect the areas where termite pest control is needed, then our experts do action to control termite. Also, prevention is better than cure, you need to do termite pest control timely so that you do not have to panic for its consequences. Why Smart Touch Pest Control? • A Completely Honest Professional service. • Staff fully trained & satisfied explanation. • Fixed value for money prices. • Discreet, smart uniforms and vehicles. • No waiting about we turn up when we say we will! • References of previous pest control services available. Give us a call today to see how we can remove any unwanted guests in your home (We also do Domestic Pest Control Service in Dubai and Commercial Pest Control Service in Dubai). 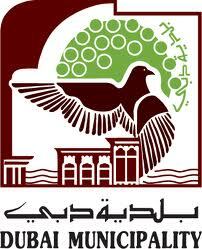 We are certified and approved by Dubai Municipality and licensed by Dubai Economic Department.